Our company is a leading provider of upholstery cleaning services in Acton, W3 London. Our professional cleaners are here to help you seven days a week. If your sofas and chars need urgent upholstery but you are still hesitating about the choice of the cleaning company, we have prepared a great offer for you. Our company has a lot of experience in providing upholstery cleaning in Acton and we are proud to say that we have learned to use great approaches that make our customers more than content with the final results. For a professional upholstery cleaning we are the most appropriate option for you – we are equipped with the best instruments and products and we are responsible enough to work in a careful manner. We understand that it is hard to trust unknown people, however we believe that we can collaborate with every customer in a successful way. We will be glad to explain in details all the steps of the working process to you. Choose us and we promise to restore the nice and fresh appearance of your sofas. We can offer you great availability – we work both during the week and at the weekends, so you can make your plans freely without any hesitation. Our technicians will make the right judgement for the condition of your sofas and after that they will provide the needed procedures. 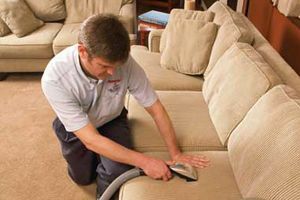 Cleaner Acton are ready to provide upholstery cleaning in Acton of a first class quality as soon as you contact us. Our positive attitude and politeness have always helped us to be perfect in every detail. We can also offer you polishing of the furniture, a service that is required by many of our customers. We can also handle with the cleaning of the stains and dirt from every origin. We will really renovate the style of your furniture. Our qualified technicians and they have been instructed in the right manner to ensure great final results. Our tempting offers will impress you right from the beginning so do not waste any more time, but join our respected company. The prices that we have set are more than reasonable and are suitable for customer’s pocket. If you have any additional questions you can ask them through our customer support centres that also have ideal working times.